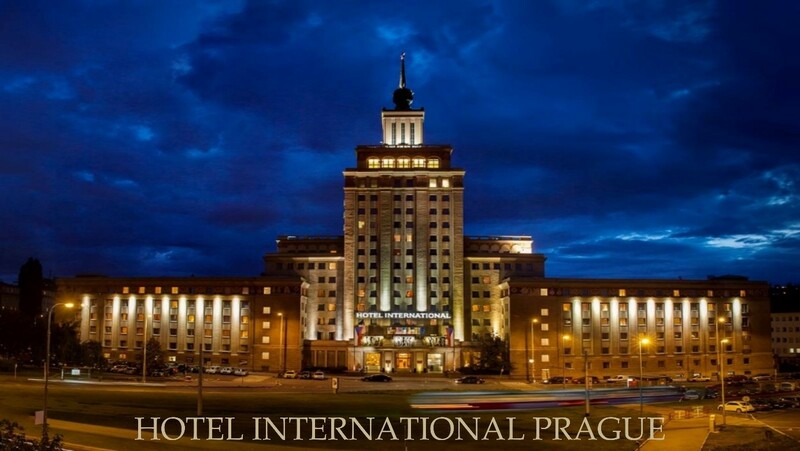 is the largest Socialist realism building in Prague and it is located in the Dejvice district. Its original name “Družba” means “friendship” in Russian. The building was built between 1952 and 1954 at the order of Defense minister Alexej Čepička. It is 88 m high (the roof is 67 m, plus a 10 m chalice and a 1.5 m green star – formerly red star) and has sixteen floors. Part of the building was a fallout shelter for 600 people, currently used as a staff clothes room. A huge tapestry in the lobby depicts an aerial view of Prague still complete with Stalinist landmarks, such as the Stalin Monument (the largest in the world, demolished in 1962) and the Monument to Soviet Tank Crews (abolished in 1991). In a proximity to most of the city attractions and the airport the hotel provides comfort and confidence of a respectable dwelling district. All 278 rooms of the hotel are very generous in space, with windows facing picturesque environment and a stand of fir trees. The Congress Hall is fit to accommodate 500 participants and is equipped to meet the highest standards of international conferences. 14 meeting rooms and negotiation lounges are designed to hold events of various sizes and are equally convenient to seat 5 to 350 guests. All auditoriums are relevantly equipped with modern technology items. 2018 © ÚCHP AV ČR, v.v.i.